This means that this year there have been around 1,000 more new sounds uploaded than in 2016. Interestingly, sounds uploaded in 2017 are 5 seconds longer in average than sounds uploaded in 2016, thus the increase in hours of audio with respect to 2016 (73 hours) is bigger than expected. 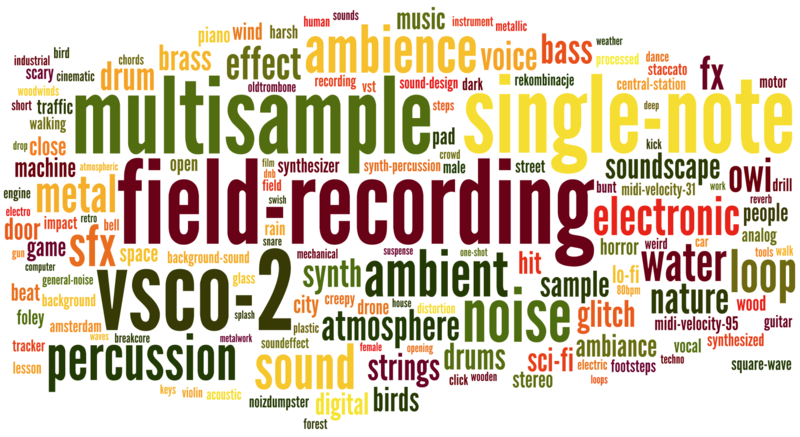 If we look at the tagcloud (see below) of the uploaded sounds we’ll see that, again, field-recording is the most used tag of 2017. 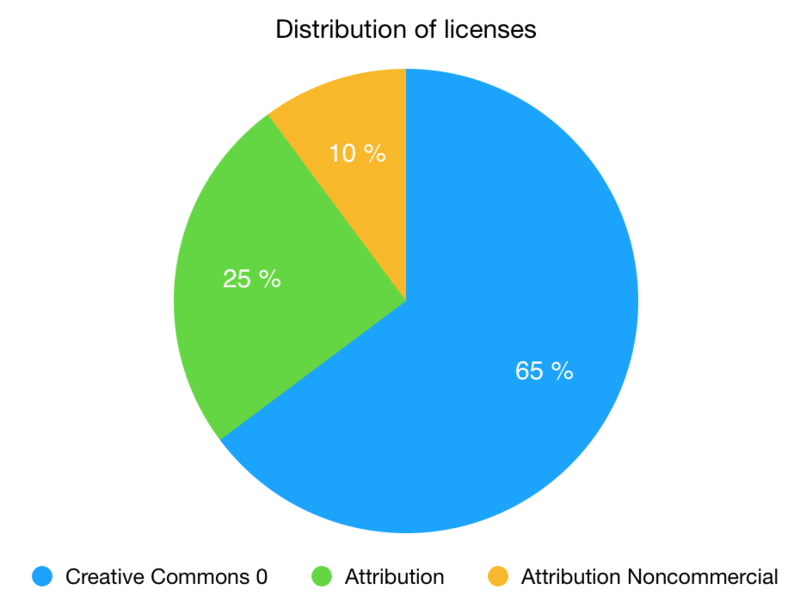 However we see also other tags which are very common: vsco-2, multisample and single-note among others. This is because of the addition of the Versilian Studios Chamber Orchestra 2 Community Edition library of ~3,000 instrument samples that happened back in January 2017. 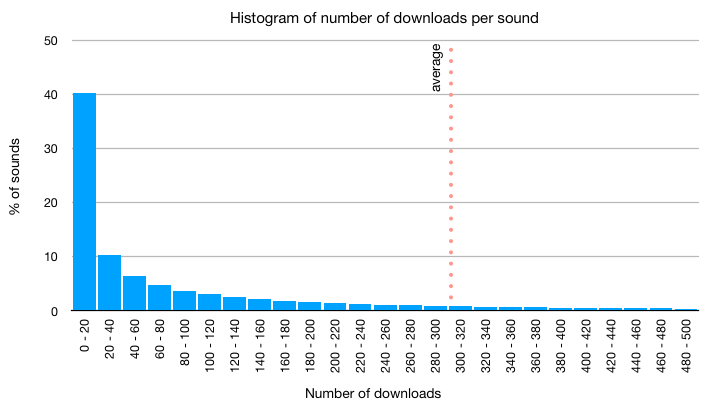 As you can see, the number of uploaded sounds and the total number of uploaded hours are different beasts, but there are some users who made it into both rankings. Congratulations to all uploaders (and moderators!) regardless of whether you are or not in the ranking! Does this look familiar? It looks quite similar to the termcloud we showed one year ago doesn’t it? Well, apparently wind, explosion, music and whoosh (in all it’s spelling variants) are still the most commonly used search terms. For example, on average for every day, there are more than 400 queries with the term wind and more than 270 queries with the term explosion. Other terms in the termcloud like scream or footsteps also seem to be pretty stable from one year to the next. We’ll see what happens in 2018! To finalize this post, some numbers about messages, ratings, forums and comments. During 2017, you’ve sent more than 19k messages, added 140k sound ratings, written 1,900 forum posts and made more than 43k sound comments! With the exception of sound ratings (which has increased), these numbers are slightly lower than last year’s stats. We’ll see what happens next year after the new interface has been released and the impact that it will have on all these numbers. Thanks for reading and enjoy a 2018 full of sounds!